Volunteers — We're Here To Help! Please consider volunteering for HomeHaven. You'll get back more than you give! If you can lend a helping hand in one of these areas, please call the Office. Driver — Rides to doctor’s appointments up to twice a week, Monday - Friday. Companion — Someone to visit for an hour or so just to talk or listen. Shopper — Someone to shop for another while shopping for themselves. Walking Buddy — Someone to keep you company while you walk if you’d rather not walk alone. Daily Callers — Someone to call members daily to check in with them. Computer Instruction — Help your neighbor learn to use a computer. 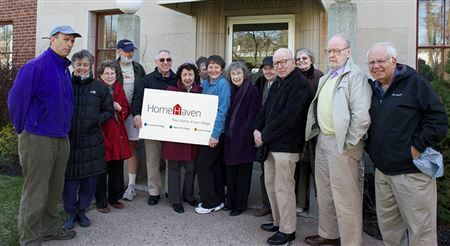 You need not be a member of HomeHaven to be a volunteer. All hands are welcome!